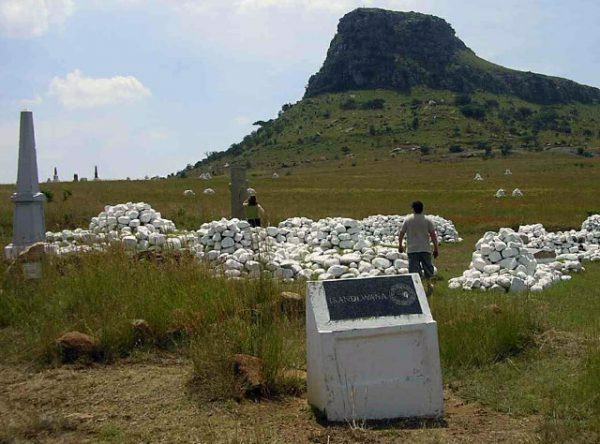 In the early hours of 28 March 1879 two British columns mounted an attack on the abaQulusi stronghold on Hlobane Mountain. 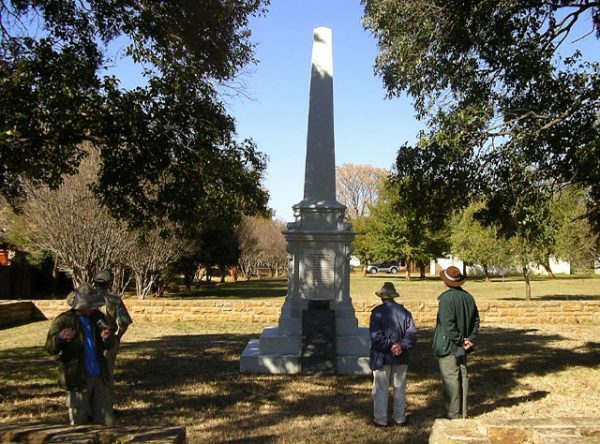 Their advance was observed by the abaQulusi and their allies who attacked the one section of the British force on the summit, forcing the British to retreat down a mass of enormous boulders now known as “Devil’s Pass”. 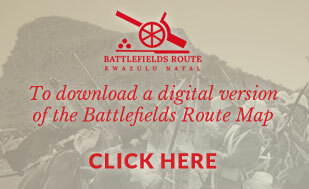 While the battle was in progress, the main Zulu army appeared while en route to attack the British camp at Khambula and a section was detached to join the battle. 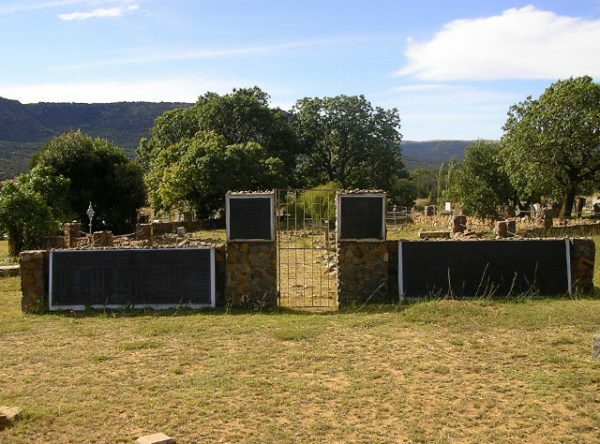 They advanced up Ntshenteka Nek and attacked another section of the British force, which suffered heavy casualties. 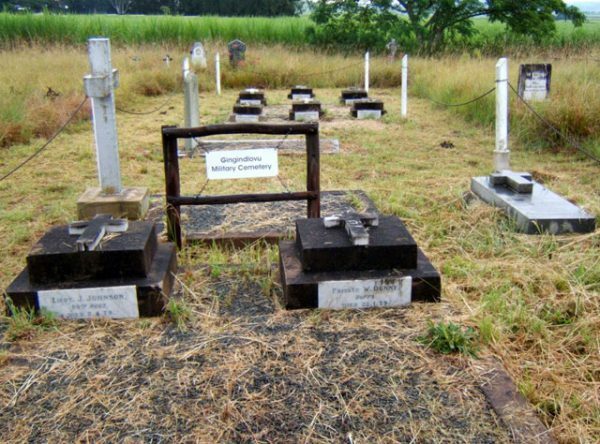 20Km from Vryheid on Hlobane Road. 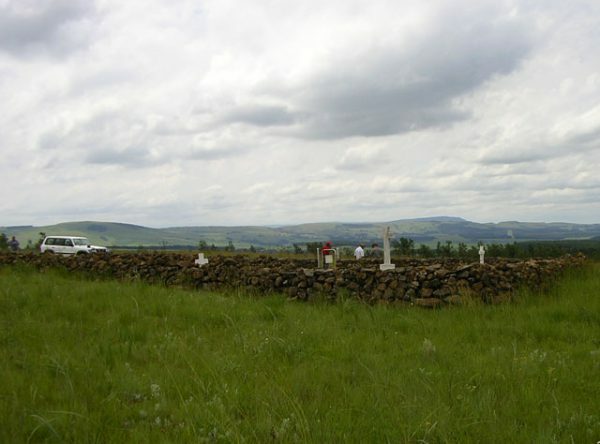 Hlobane Mountain and battlefield are on private mine property and not open to the public. Special permission must be obtained to enter. 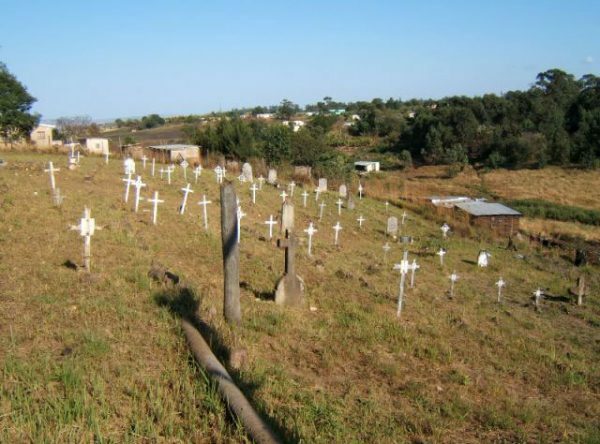 The route to Ntshenteka is very badly signposted. 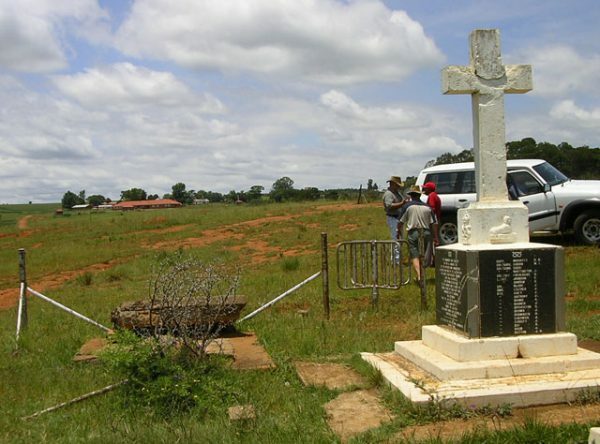 There is no on site information and the services of a Guide and a 4×4 vehicle are needed to visit this site. 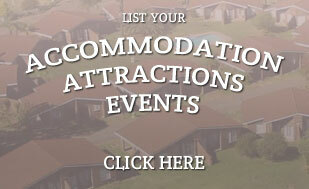 Such great information – pity there are no entrance fees attached. For this site there are no entrance fees, but unfortunately to gain entry you have to contact the mine management, which is difficult and then the track to the top is often so badly eroded that only the toughest 4×4 can make it. You really need to contact one of the Dundee Guides who can help you. It is a spectacular site to visit with an incredible story. 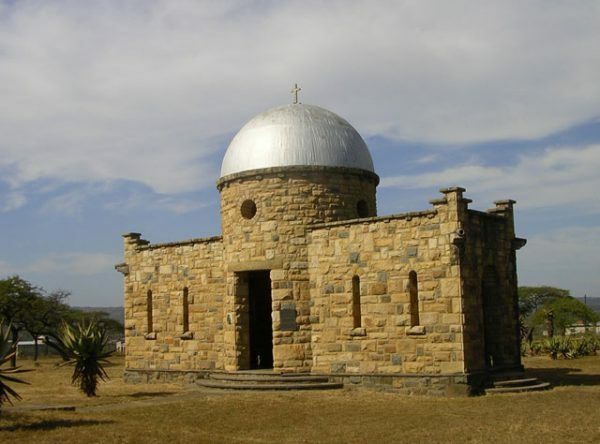 “on 29 August 1879 the 94th began construction of a defensive earthwork, named Fort Piet Uys, in honour of the Boer leader who had died whilst fighting for the British at Hlobane in the war…” Other records describe it as a stone fort. Even if it is just a pile of stones I would like to see it. 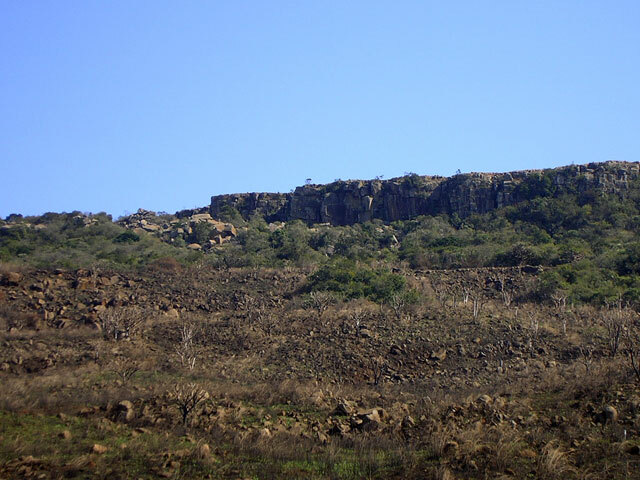 Is it N, S, E or W of Hlobane Mountain? Does anyone know?